While growing up in the small town of Baranello, Italy, I acquired the “taste” for for fine fresh pasta that my grandparents prepared daily. This distinct “taste” was and continues to be enhanced by my commitment to bring you the heart of Italy’s Best! 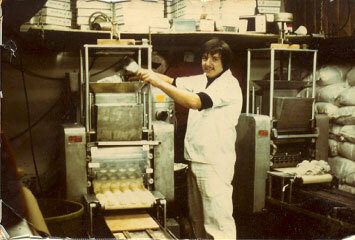 Now 40 years later, I am honored to carry on my family’s tradition of quality and integrity. We now invite you to enjoy Sapore, which means “taste”, the elegant taste of Italy!